Germany, 1941. 12-year-old Karl Engel is looking forward to joining the Hitler Youth, like all boys his age. Historical: Set during WWI, the book follows the secretive Edelweiss Pirates, a group of young people who opposed the Hitler Youth. While the twelve year old main character, Karl Friedman, is adamant about becoming a Hitler Youth, his sixteen year old brother, Stefan, is not. Karl doesn’t understand why Stefan doesn’t support Hitler until the news of their father’s death in the war arrives. Their Oma and Opa (grandparents) take the brothers and their distraught mother to stay with them, which takes Karl out of school. While he is supposed to hide, Karl begins to wander away from the house, meeting the infamous Gestapo leader, Wolff. Then, Karl begins to see the truth of Hitler’s propaganda. Family: Oma and Opa’s constant care for Karl and his family is very realistic for the time period. While we are familiar with Anne Frank’s life of hiding, we are not so familiar with those of the Germans who did not support Hitler. Seeing that they, too, faced death and torture is eye opening and provides a different side to the story. 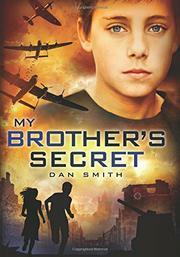 Friendship: Karl’s friends at the beginning of the book, books who believe in the Hitler Youth movement, are ruthless and are happy to torment a poor boy who has just lost his father to the war and doesn’t feel the “pride” that he should feel. Even in that moment, Karl hesitates to participate in his humiliation. Once he moves in with his grandparents, he meets Lisa, a girl of his age who believes more like Stefan in the new Edelweiss movement. Lisa is vital in changing Karl’s perspective. Courage: Karl and his family represent the courage it took to live during a war, much less WWII, in Germany, and not support the war. While we know the history of the Holocaust and the terrible tragedy of what happened to those who opposed Hitler, we don’t often see the courage it took for Germans to stand alone. Suspense: The book is a very quick read simply because it is laced with suspense. Once Karl begins his personal awakening and starts to venture away from everything he has known, the action picks up and propels the story forward. At the beginning of the book, the reader won’t (or shouldn’t) like Karl’s character as he represents hatred and discrimination, but as he realizes what he’s been a symbol for, he begins to react in a way that could cost his life and the lives of those he loves.